In 1848 the sisters moved to New York City together and joined a literary community, which included editors of major newspapers and women’s rights advocates. By 1850, the Fuller sisters were living in Detroit, Michigan, as editors of the Monthly Hesperian and the Odd-Fellows Literary Magazine. Frances married Jackson Barritt in 1853, and the couple staked a land claim near Omaha, Nebraska. Three years later, Barritt abandoned both his farm and his new wife. Frances returned to live with Metta in New York, ready to get back into writing. Beadle and Adams was not the most significant publisher of women’s dime novel romances, but the firm is significant for the successful development of the cheap fiction publishing formula. Although other publishers had attempted to sell inexpensive books before, Beadle and Adams revolutionized the field of cheap fiction by drastically lowering the price to a mere ten cents when other books were selling for a dollar or a dollar and half. In order to make a profit, Beadle and Adams used the least expensive paper available, along with the cheapest bindings and cover illustrations. They also standardized the publishing format so that every book was exactly the same in size as every other in the series – setting a standard at 6 and 5/8th inches by 4 and 1/2 inches – the same size as today’s mass-market paperback. Therefore, press and typesetting specifications were the same for each book published, saving time and money. Their ingenuity contributed to the success of Beadle and Adams as the first publisher to issue inexpensive mass fiction in a series. 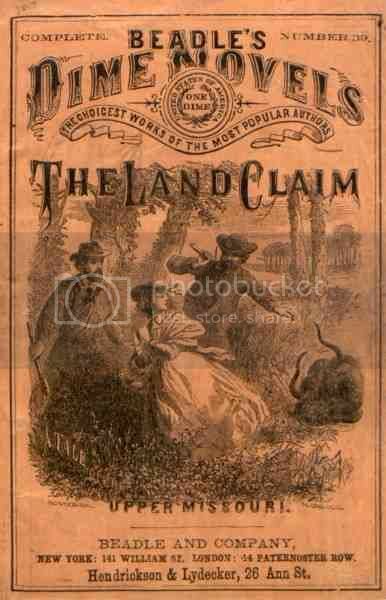 The first series, issued in July 1860, was known simply as Beadle’s Dime Novel Series. The first title of that series was Malaeska: Indian Wife of the White Hunter by Ann Stephens. 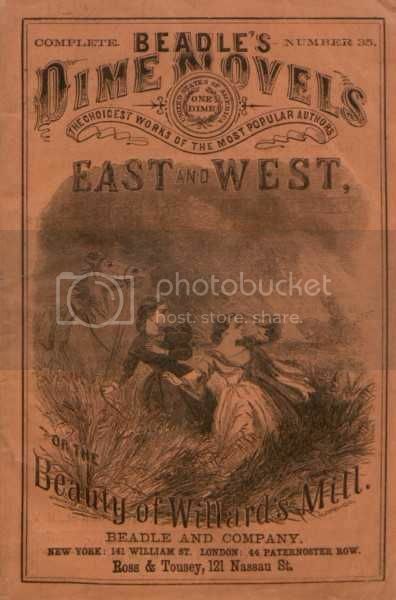 Frances Fuller Victor started writing dime novels for Beadle and Adams. These were short 100-page novellas printed on cheap pulpwood paper with bright yellow or orange covers. Victor wrote at least three of them: Anizetta, the Guajira; or, The Creole of Cuba; East and West; or, The Beauty of Willard’s Mill; and The Land Claim: A Tale of the Upper Missouri. She wrote them under her married name: Mrs. Frances Barritt. 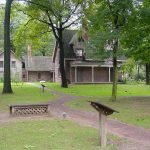 The American Civil War broke out while she was writing dime novels. By that time, she had not seen Mr. Barritt in three years, and she had fallen in love with the brother of her sister Metta’s husband, a Naval engineer named Henry Clay Victor. So in April 1862, she took legal steps to end her marriage. The very next month, she and Henry were wed.
Henry’s assignment on the USS Narragansett sent the couple to the Pacific Coast. Upon arrival in San Francisco, California, Frances Victor began submitting editorials and short stories to the San Francisco Evening Bulletin and the Golden Era, San Francisco’s premier literary magazine – under the pseudonym Florence Fane. [Henry is] a sort of shooting-star on his own account. … He cannot be long content in any part of the globe, and as I am only a lesser light, following in his wake like phosphorous after a vessel at sea, I fall in naturally when he takes up the line of march. Tents being struck in the night-time, the morning sun shines only on the ashes of our campfire. Henry Victor retired from the U.S. Navy in 1864 because of illness, and the couple relocated to Portland, where he found employment with Oregon Iron Works, owned by Addison Gibbs. When introduced to Gibbs, Frances Victor revealed that she knew almost nothing about her new home. Knowing she was an author, he suggested that she write a book about the state to counter eastern misinformation about the Northwest. Oregon had been admitted to the Union on February 14, 1859. This conversation led Frances Fuller Victor to the subject that would become her primary professional interest for the rest of her life: the history of Oregon. Her writing shifted from fiction and feature articles to book-length regional histories. 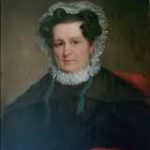 During the next thirteen years, she compiled first-hand accounts of Oregon history from territorial leaders like Joseph Meek, Oliver Applegate, and Matthew Deady. Her diligent studies contributing to her success as a writer. Her fiction in this period was considered to accurately capture the spirit of western expansion and the notion of Manifest Destiny. She also continued to write about women’s rights; among the publications she wrote for was Abigail Scott Duniway‘s The New Northwest. While I have generally succeeded in escaping from male authors and think I could still fight them off, I have been no match for the ladies of the pen. To one of these I have fallen a helpless victim and surrendered at discretion. I held my own while I kept her at a distance but in one of my letters I inadvertently said “If you want information you must come to me for it.” She took me at my word and in about two weeks she pumped me so dry of historical matter that the stores both of memory and imagination were utterly exhausted … there was nothing I could conceal or withhold from the keen scrutiny of this lady … If you really seek truth, go to her. … The lady is Mrs. Frances Fuller Victor of St. Helens. In 1870, Frances Fuller Victor published her first book about Oregon history, The River of the West, which was a chronicle of Oregon’s history through the eyes of mountain man Joe Meek. The book was well received, but it also made her some powerful enemies. In it, she tackled the myth that Dr. Marcus Whitman had ‘saved Oregon’ for the United States by racing back to Washington, DC in the winter of 1842, to lobby the president to send settlers to the state. Her second book, All Over Oregon and Washington (1871), included notations on the Northwest’s regional industries, significant people, cultural practices, and politics. About this time the Victors’ marriage began to fail. By 1868, they were in financial difficulties and living separately. During the next two dozen years, Frances struggled to keep enough money flowing in to feed her and finance her research projects. The mid-1870s were especially fruitful and rewarding as she prepared for a history of Oregon’s Indian wars. About this time, Victor published a brief account of the Women’s Temperance Prayer League activities in Portland, which was the beginning of her serious advocacy of voting rights for women. Henry Victor died in the wreck of the steamship Pacific off Cape Flattery on November 4, 1875. In 1878, historian Hubert Howe Bancroft of San Francisco offered Victor a position on his staff of history writers, she could not refuse. Her own resources were almost depleted, and she knew Bancroft would be producing a volume of Oregon history. It was a good job for her in some ways. She now had a steady paycheck, enabling her to focus on the kind of writing she preferred, without having to write fluffy fiction to pay the bills. However, as a seasoned writer and researcher, Victor was now ghostwriting whole masterpieces of history that would be published with Bancroft’s name on the cover as author. Her own name appeared nowhere in the book. Victor moved back to San Francisco to accept a ten-year contract with Bancroft. The terms of the contract required her to turn over her extensive collections and research. She contributed major portions of Bancroft’s monumental work, The History of the West, though Bancroft published her work under his own name. 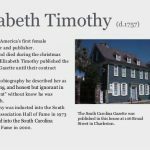 For eleven years, she labored as a researcher and ghostwriter, completing History of Oregon I and II; History of Washington, Idaho, and Montana; History of Nevada, Colorado, and Wyoming; and significant portions of several other volumes. In 1889, she quit. Victor returned to Oregon in 1889. Struggling financially, she frequently sought compensation for her work. 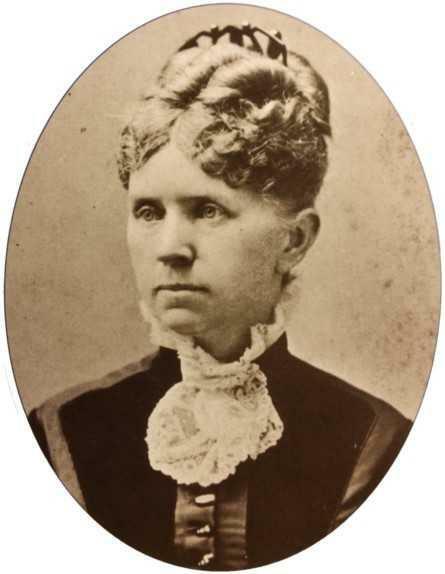 The Oregon Legislative Assembly commissioned The Early Indian Wars of Oregon, and she often implored Secretary Frederic Young of the Oregon Historical Society to pay for her essays. She also sold face cream and other articles door-to-door. For the remaining years of her life, Victor worked as a freelance writer, taking whatever jobs were available, while still devoting as much time as possible to historical research and the fight for women’s suffrage. Increasingly frustrated by the praise historians heaped on the History of Oregon – unaware that Victor was the author, not Bancroft. She took matters into her own hands by displaying the four volumes she had written, with her name placed alongside Bancroft’s on the book spines at the 1893 Mechanics Fair in San Francisco and the Chicago World’s Fair. Victor finally received the recognition she so desired. The fledgling Oregon Historical Society named her an honorary member at its founding in 1899. In 1901 the Morning Oregonian called her the Mother of Oregon History. Frances Fuller Victor died November 14, 1902 at the age of 74 and was buried at River View Cemetery in Portland. 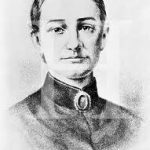 She left behind numerous histories yet to be completed, including a revision of The River of the West and a biography of missionary Marcus Whitman.